The romantic notions of a full moon do sometimes clash with the need for sleep! Travel Sleep Masks are a super value at only $6.00. OFFER #1: Stop by the gallery today to purchase one for yourself and get a second one for a friend at half price. Love the dreamy black, with or without a kick of color. 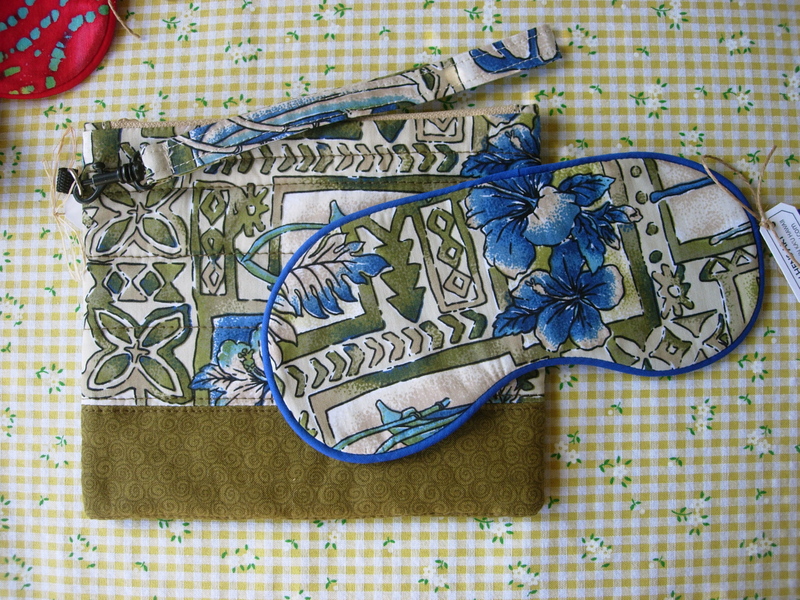 Wristlet purse with travel sleep mask. OFFER #2: Today only, buy one of these zipper purses for $20.00, and get the matching sleep mask free. 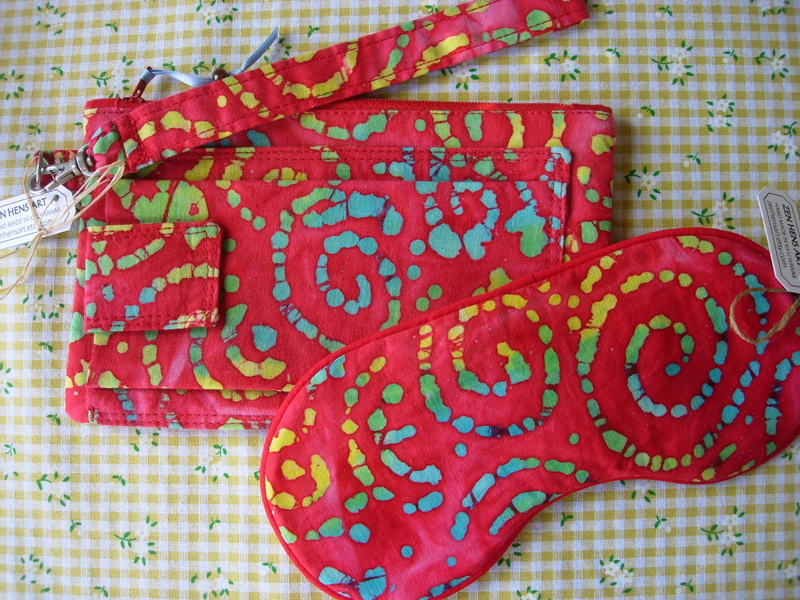 The red batik purse has an outside phone pocket. Both of these purses have removable straps, and wild surprise linings that are not shown in the photos.